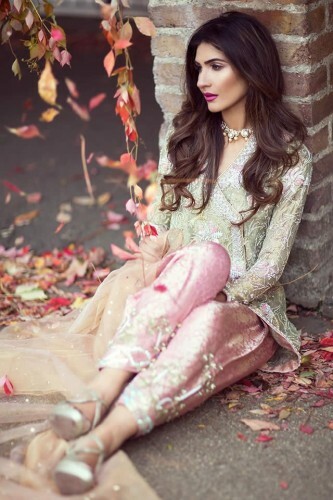 Farah Talib Aziz is the leading and talented fashion designer, who has designed the dresses in formal, casual, bridal and party wear and the wedding wear. 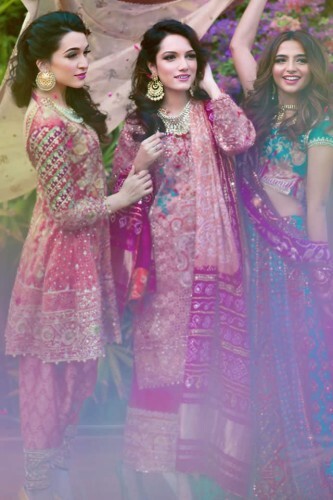 The fashion designer has prepared the wedding season dress designs, wedding wear collection 2019 by Farah Talib Aziz and they brought exciting collection with the signature feminine colors, cuts and prints. 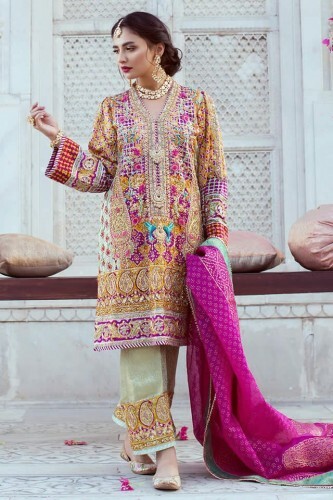 The dresses are unique with the hand embroidery and chatta pati sleeves. 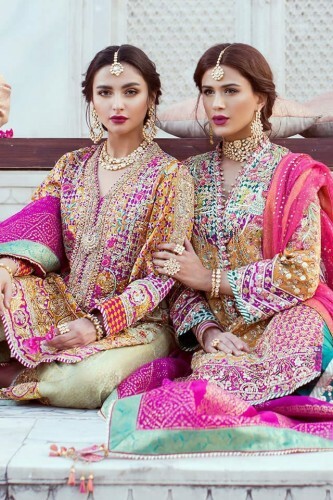 Farah Talib Aziz Wedding Wear Collection 2019. The dresses are classy in white chickenkari kurta and keep them stylish in tea pink organza top with the appliquéd embroidery. Farah Talib Aziz bridal dresses collection 2019 is the best to gather for you with latest design strategies, weaving work, latest styles and appealing shading plan.